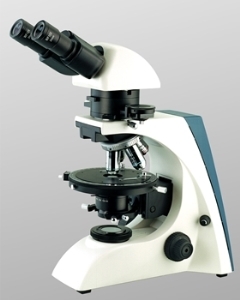 EMS Metallurgical Microscopes use long working distance objectives and reflected or incident illumination to deliver sharp, high contrast images of solid specimens. The large collector lens and light path combine with the specifically positioned diaphragms to allow more light for brighter images. A polarizer and analyzer and color filters are built-in to enhance observation. The Inverted model utilizes incident illumination for over size samples. The trinocular head allows for quick and easy attachment of cameras for documentation. The polarizing analyzer is used in conjunction with the polarized filter cube, which is easily accessed via the push rod. The analyzer may also be placed on the lower light source and used with the polarized filter cube for transmitted light work. Eye pieces - 10X, Focal Length 25mm, FN 18 mm. We offer three types of camera systems for documenting resolved microscopic images. A CD-ROM Drive to install the software. Jenco Image is a software tool for microscope image measurement. It captures or imports and archives database images and allows image annotation, Email links, or report generation. It can be used to measure point to point or multi-pointed lengths/distances and/or area of: lines, angles, circles, rectangles and ellipses in the captured image with calipers in metric, English or pixels. The system can also calculate a color area and percentage of color relative to the whole. The system can be calibrated to scale/magnification so the result of the measurements and virtual values will keep a 1:1 relation. All results can be saved in the computer for further research.